Don Latimer set a UM record with 15 quarterback sacks in his senior year of 1977 from his middle guard position (now 3rd all-time). 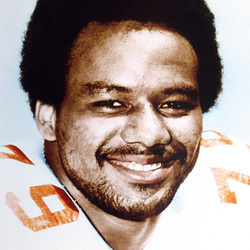 He was named a first team All-American byThe Sporting News and played in the 1978 Blue-Gray game and the Senior Bowl. He was a first round draft pick of the Denver Broncos and played 6 seasons in the NFL. Don was a high school teammate in Ft. Pierce of fellow UM Hall of Famer Eddie Edwards.